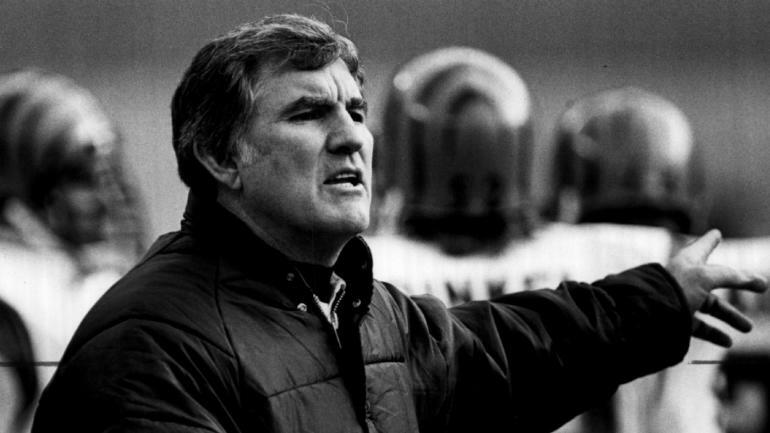 Forrest Gregg, the Pro Football Hall of Famer who will go down as one of the best offensive linemen in NFL history, died Friday at the age of 85. The announcement of Gregg’s death came from Pro Football Hall of Fame president David Baker. After being selected by the Packers in the second round of the 1956 draft, Gregg would go on to win five NFL championships with the team (1961, 1962, 1965-67). Gregg also played long enough to win two Super Bowls with the Packers. The offensive lineman also played a vital role in the Ice Bowl, which the Packers won 21-17 over the Cowboys in December 1967 to advance to Super Bowl II. Gregg was known as an iron man who had the ability to play through any injury. From 1958 until 1970, Gregg started in 187 consecutive games for Green Bay, which stood as a franchise record for more than three decades. Gregg spent most of his career playing right tackle, but also offered to play guard whenever Lombardi needed a fill-in. Packers president Mark Murphy tried to put into words just how much Gregg meant to the franchise. New Packers coach Matt LaFleur hasn’t been in Green Bay long, but he’s very familiar with Gregg. In a tweet, LaFleur said he has had a picture of Gregg hanging in his home office for a decade. During his time in Green Bay, Gregg played in nine Pro Bowls and was named first-team All-Pro seven times. After spending the first 14 years of his career with the Packers, Gregg latched on with the Cowboys for one season and earned another Super Bowl ring after Dallas beat the Dolphins in Super Bowl VI. The offensive lineman was inducted into the Pro Football Hall of Fame in 1977. Gregg almost earned another Super Bowl ring in 1981 as the coach of the upstart Cincinnati Bengals. Although Gregg struggled during his first coaching job with the Browns (1975-77), Bengals owner Paul Brown took a chance on him in 1980 and hired him as head coach. During his second season with the team, Brown’s gamble paid off as Gregg led Cincinnati to Super Bowl XVI, which marked the team’s first appearance in the NFL’s biggest game. Although the 12-4 Bengals would lose to the 49ers 26-21, Gregg became an instant hit in Cincinnati. Nearly 40 years after that Super Bowl berth, the Bengals honored him with a banner at Paul Brown Stadium in 2017. Bengals owner Mike Brown, the son of the man who hired Gregg, recounted Friday just how much the team’s former coach meant to the organization. Before coaching in Super Bowl XVI, Gregg led the Bengals to a win over the Chargers in the 1981 AFC Championship Game, a game that’s better known as the Freezer Bowl, which means Gregg played a key part in the two coldest games in NFL history. After leading the Bengals back to the playoffs in 1982, Gregg would only spend one more season in Cincinnati before he decided to take his dream job as coach of the Packers. In 1984, Gregg was hired as the coach in Green Bay, where he would spend four seasons.